March 4, 2017 By Amber 9 Comments This post may contain affiliate links. Read my disclosure policy here. 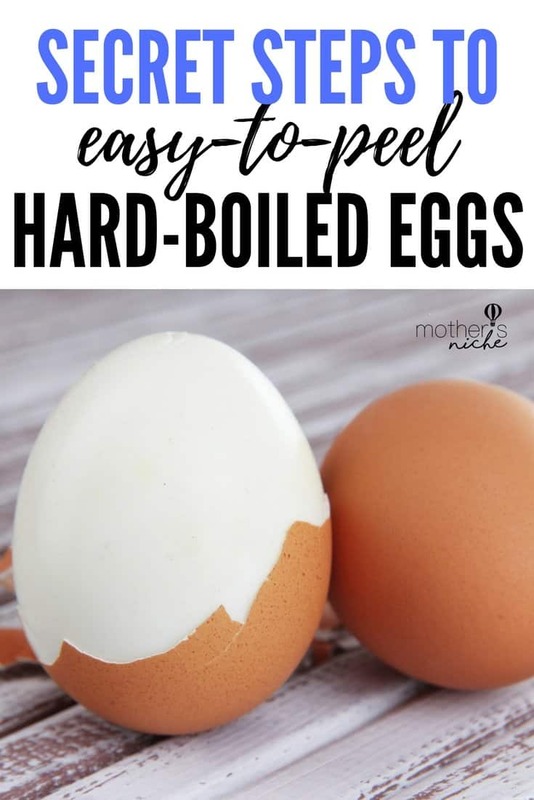 Peeling hard-boiled eggs can be extremely frustrating — frustrating for your kids when they want a quick, easy snack and frustrating for you when you’re making deviled eggs or hors d’oeuvres that need to look presentable! Well now you can take that frustration and throw it out the window because below are 3 easy steps for an easy peel! Step One: This is probably the most important step. 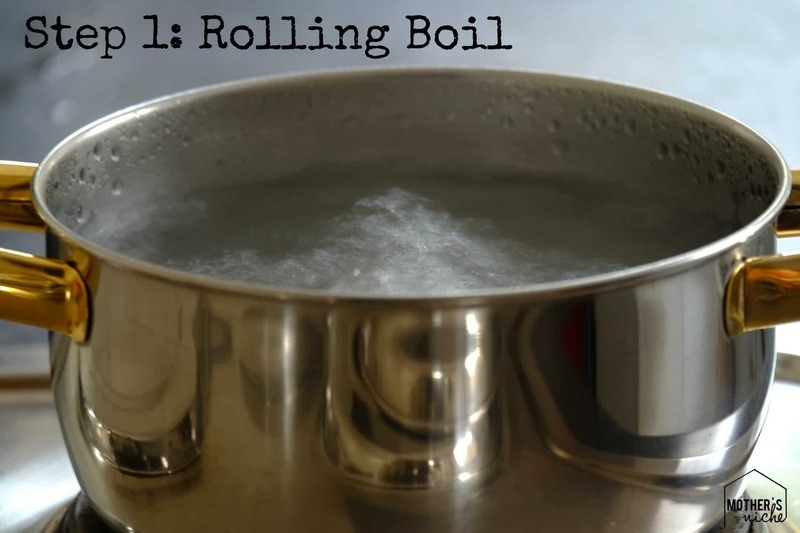 Despite what you may or may not have read, my experimentation has determined that the only way to start your hard-boiled eggs is in water that’s already a rolling boil. Some foodies may claim that it’s important to put your eggs into the water before it’s too hot to avoid breaking but while that may be true, it won’t get you an easy peel. Make sure that water is boiling! 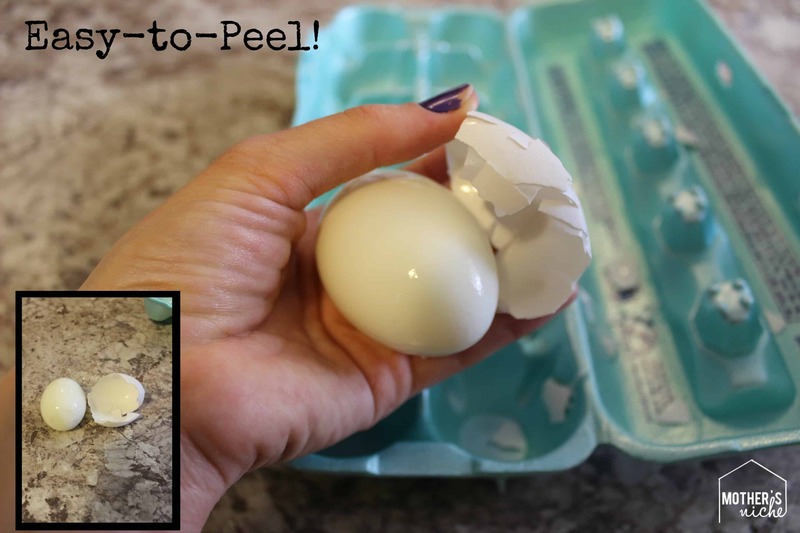 You might have an egg or two break on you when you put it in, but one lost egg is worth it for an easy peel! Step Two: This step, of course, is pretty regular everywhere. Boil your eggs until cooked through. This takes about 10-15 minutes. 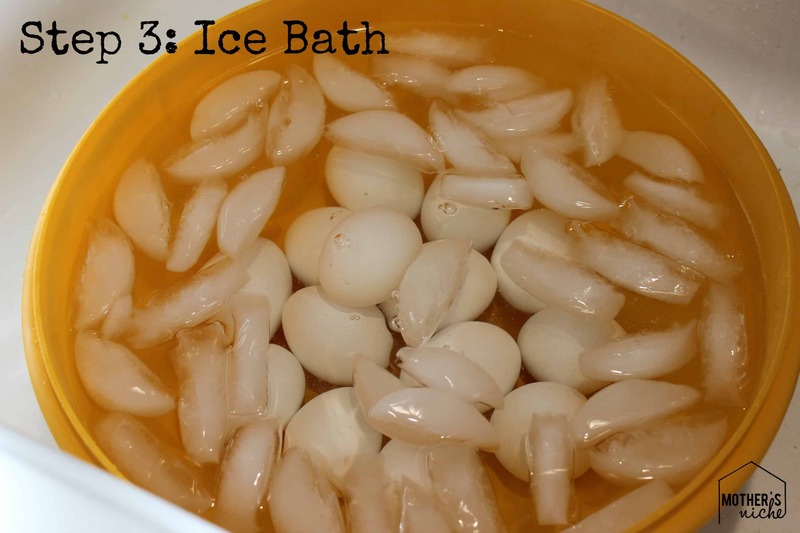 Step Three: After your eggs are done cooking, immediately transfer your eggs to an ice bath. This transfer from extreme hot to extreme cold (similar to what we did in step one, only backwards) will help keep the shell from sticking to the egg. Allow your eggs to get cold before peeling. *Peeling Tip: When peeling your eggs, it’s important to make sure you get under the inside sac that’s between the egg white and the shell. 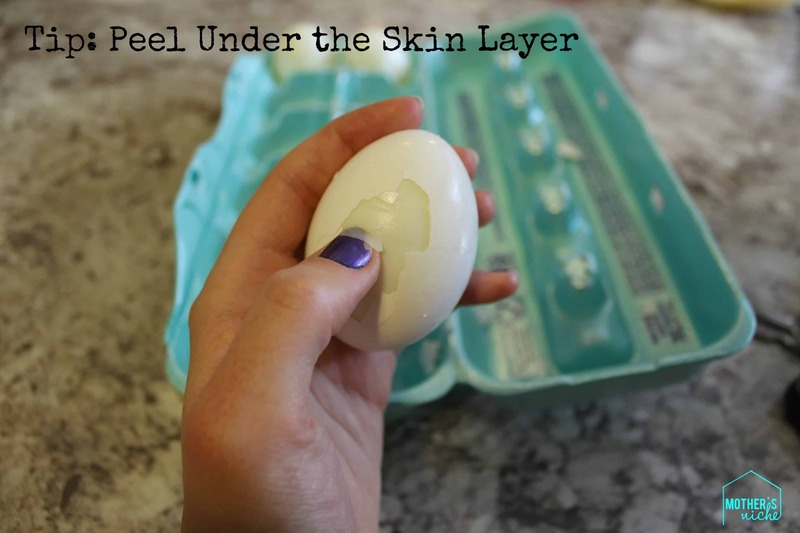 Pulling this layer off will also give you an easier peel. Finally, your eggs should peel nice and easy with the shells coming off in big chucks! Now you can finally enjoy hard-boiled eggs without the frustration of peeling them! This method has been fool proof for me. I use a slotted spoon to lower the egg into the boiling water and I have never had one explode. I have had a few crack if you drop them to hard. Just lower the spoon to the bottom of the pot and let the egg roll off. I am not so sure about this method. But, from watching Food Network, I have learned, and tried, this method. 1. 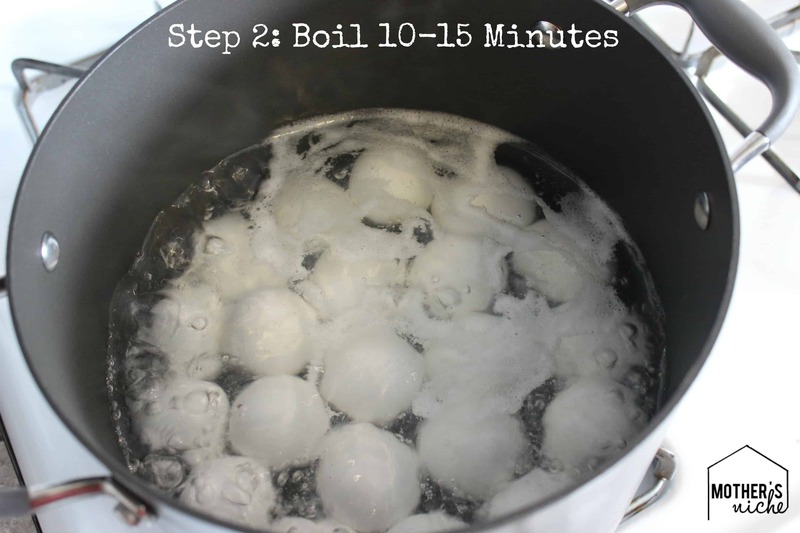 Place “room temperature” eggs into cold water. (fresh from faucet). Bring to a boil, boil 3 minutes. Turn off burner, cover with a lid & remove from burner. Time eggs for 17 minutes (very important). Remove eggs from water. Rinse and peel. 2. To PEEL the eggs, I gently crack the shell, then using the “bowl side” of a thin teaspoon, insert gently under the shell and protective skin, gently working the spoon around the egg in sections. You will be amazed! I was! I end up with pretty eggs every time. Once in a while, one will crack on me, but not often. Good luck, if you try this. I think you’ll be glad you did. This really worked. I put the eggs in warm water before putting them in the boiling water. Out it 26 eggs, only one popped. I did have 4 or 5 that cracked but didn’t pop open. I just found this. I agree with your Secret Step 1. I’ve tried every way but always putting the eggs in the water then boiling. When I boil the water first then carefully add the eggs one at a time with a strainer I have that has a long handle even peelings on fresh eggs slips right off. 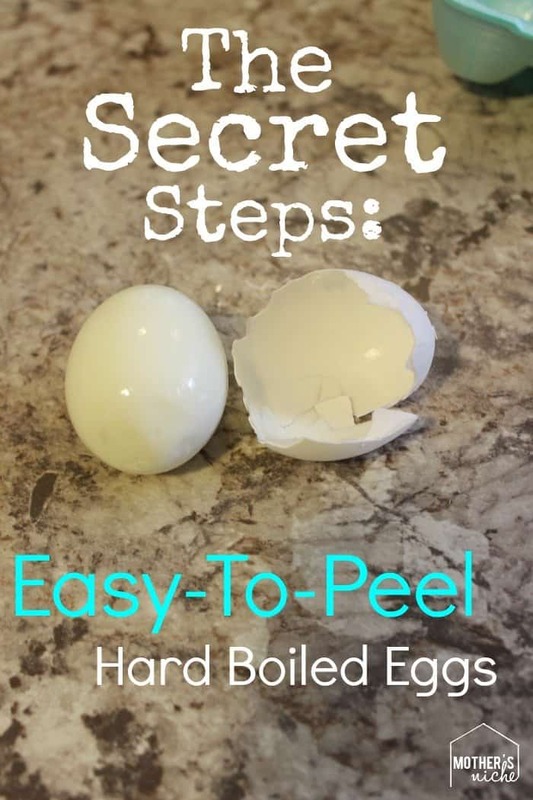 This method worked very well for me, perfect easy hard boiled Eggs…..thank you for the tip!